What's to be reviewed and discussed at this week's Park County Board of County Commissioner hearings. See past Agendas here. Property is part of the W ½ of S31, T9 R77, addressed as 2234 Busch Run, Fairplay. The applicant is requesting a Conditional Use Permit to allow an existing Conference and Retreat Facility. Property is part of a 1685.33-acre parcel in Township 8, Range 72, Section 4, addressed as 2703 County Road 68. Applicant is requesting an event permit for a two-day camping and music/art event scheduled for March 15 - March 17, 2019. Property is part of a 1685.33-acre parcel in Township 8, Range 72, Section 4, addressed as 2703 County Road 68. Applicant is requesting an event permit for a three-day camping and music/art event, to be held July 18 – July 21, 2019. Property is part of a 1685.33-acre parcel in Township 8, Range 72, Section 4, addressed as 2703 County Road 68. Applicant is requesting an event permit for a three-day camping and music/art event, to be held September 19 – September 22, 2019. Subject property is 6.7 acres located in the Southeast ¼ of Section 2, Township 8, Range 72, and is addressed as 1001 County Road 837, Bailey CO 80421. Applicant is requesting to rezone from the Agricultural (A) zone district to the Residential (R) zone district. APPLICANT: Christopher Runyan as Elbow Room Properties, LLC. Subject property is 1.35 acres known as Tract 3 in the Castle Commercial Subdivision, and addressed as 39505 Highway 24, Lake George, CO 80827. Applicants are requesting to rezone from the Commercial (C) zone district to the Rural Center Mixed Use (MU) zone district. NOTE: Items May Be Added To These Agendas Up To 48 Hours Before The Scheduled Time. Items May Be Deleted Or Cancelled At Any Time. Please Check Website “ Parkco.us/AgendaCenter ” for most Updated Agendas. If You Need Further Information, Please Contact The BOCC (Board of County Commissioners) Office At: 719-836-4201. Last edit: 02 Apr 2019 10:37 by MMT_Politics. NOTE: Items May Be Added To These Agendas Up To 48 Hours Before The Scheduled Time. Items May Be Deleted Or Cancelled At Any Time. 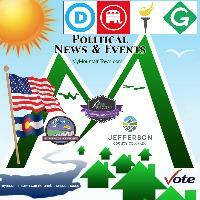 Please Check Website Park County Agenda Center for most Updated Agendas. If You Need Further Information, Please Contact The BOCC (Board of County Commissioners) Office At: 719-836-4201. NOTE: Items May Be Added To These Agendas Up To 48 Hours Before The Scheduled Time. Items May Be Deleted Or Cancelled At Any Time. Please Check Website Park County Agenda for most Updated Agendas. If You Need Further Information, Please Contact The BOCC (Board of County Commissioners) Office At: 719-836-4201. Property is Laser Lane within South Park Ranches Filing 59, Township 11 Range 74 Section 09. The applicant is requesting to vacate the right-of-way and combine it with lots 49 and 50. Property is Tract A within Golden Hills Estates, Township 09 Range 78 Section 14. The applicant is requesting to render Tract A into a buildable lot, to be known as Lot 30. Property is a 25-acre parcel described as the N2SE4SE4 and the N2N2S2SE4SE4 in Section 5, Township 7, Range 74, and is addressed as 47711 Highway 285. Applicant is requesting to build a 54 ft. monopole telecommunications tower and equipment shelter. Applicant is also requesting a 9.4 ft. variance from the required 1.1:1 setback to height ratio. NOTE: Items May Be Added To These Agendas Up To 48 Hours Before The Scheduled Time. Items May Be Deleted Or Cancelled At Any Time. Please Check Website Park County Agendas for most Updated Agendas. If You Need Further Information, Please Contact The BOCC (Board of County Commissioners) Office At: 719-836-4201.